She knew her God and her God alone was the only One that could move the mountain that stood in front of her. I’m going to let her tell you her story. My world came crashing down on a November night. I remember the moment so clearly. I was sitting in our living room eating when my husband told me he wanted a divorce. He was done. FINISHED. He was tired of never being good enough and he was tired of the endless fighting. He felt like he had failed at being the husband I “wanted” and “needed.” Marriage wasn’t fun anymore. We fought more than we laughed and we were basically living separate lives—not much more than roommates. So he decided to listen to the advice (a.k.a. threats) I’d shouted time and time again, “Just leave!” or “Let’s just get a divorce!” He’d had enough and his cold, angry and hurtful demeanor made me realize this was for real. I instantly begged and pleaded with him for us to get help first! But it was too late. The damage had been done. And his mind was made up. Even though I hated what our marriage had become, this was not the way I wanted it to end after six years. I did love him. I did. He told me he’d stay with family until he could figure things out. Minutes later he was gone. He left—and I—I fell apart. Over the next few weeks and months, my journey to wholeness slowly began. We had no contact. None. (Except for me, early on, begging for us to get help, which in return his response was “leave me alone!! !”) It was right before Thanksgiving and then our anniversary came, then Christmas…. New Years… my heart was breaking. I had no idea that I would be waiting eight months before I would hear from him. I was a Christian. So was Terry. No one stands at the altar, and vows “’til death do us part” and believes they will one day willingly sign papers to break their promise. We had meant what we said, but here we were. It was over. His empty side of the bed was a cold reminder that something had gone terribly wrong. During that time, God broke me. But it was in the wrecking that God began His gift of healing. He opened my eyes to so many things. 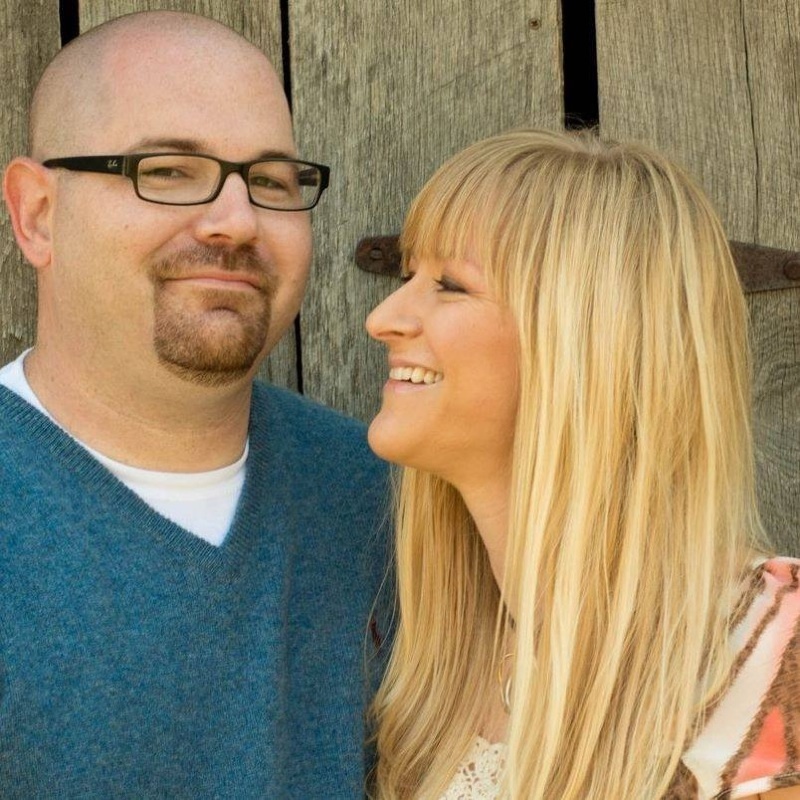 He gave me a love for my husband and a longing for God like I had never known before. I was immediately brokenhearted for how I had treated Terry. It was so painful as I recalled how I had used my words so many times as daggers just trying to get his attention. I was grieving the loss of my marriage and of him. I felt like he had died. My pride was shattered too. Here I was working at a Christian university at the time, attending an amazing church, with many close friends but NO.ONE.KNEW. We should have our acts together, right? Now EVERYBODY KNEW. I made a choice to become real with God, with friends, and with family during this time. Life became so freeing as the weight of hiding lifted. I still did not want a divorce but my new heart change was too late. God began to show me that my faith hadn’t been in Him—it had been in Terry. Terry had been my God. Because Terry is not God, he couldn’t live up to who I thought he should be. And because my hope was in the wrong place, no matter how badly I tried to control and manipulate Terry, he never measured up to my expectations. And anger would erupt. I had no patience or grace. I was left frustrated that he couldn’t complete me. I began to let Christ fulfill my life again. The silence from Terry was deafening. I missed him deeply. But as I pressed into knowing God more, I grew confident that God had a plan through this and I had to trust Him. I sure had screwed things up, but in Christ there is grace upon grace. I was learning to forgive… even myself. 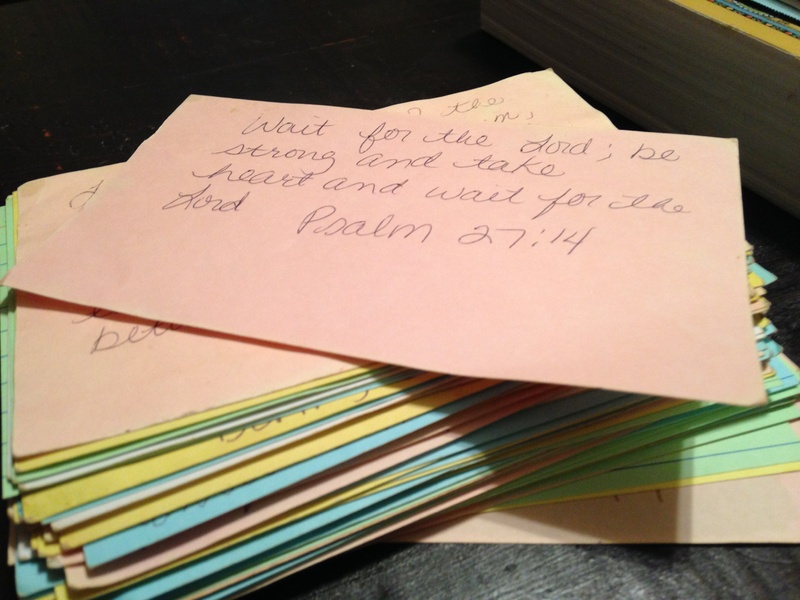 Notecards filled with Scripture verse on them that Karla clung to. I can’t say that I was perfect over those eight months of waiting. It was a roller coaster of emotions. My mind played with me. I distanced myself from mutual friends because it hurt knowing that they had contact with him and I didn’t. I hurt others when I let fear rise up. I questioned if I had really heard from God? In some moments I knew I’d be okay and I experienced amazing peace, but in other moments I was just so sad. Well-meaning people offered me advice; they couldn’t understand why I would wait. They didn’t understand this confidence I had in what God had shown me. When I took my mind off Jesus, I was so confused. Why am I waiting? I need to move on! Towards the end of month six or seven, I started to give up the hope that we would reconcile. I decided to take off my wedding ring. Meanwhile, as I was letting go of my marriage, God was working in Terry’s heart. I was unaware of all the “God moments” that were happening on his end. Out of the blue, Terry called me and wanted to meet but he would not tell me why. It had been 8 months. We met with our counselor for the first time since we had separated. I couldn’t believe it, but Terry wanted to fight for our marriage—he wanted to fight for ME! He told me everything he had felt over the last year, everything he had went through, but most importantly, he asked for my forgiveness for leaving. He wasn’t angry anymore. He admitted his failures too that led up to the separation. He took full responsibility for how his actions affected mine in our marriage. Although it was a hard moment, it was an amazing moment. I was watching my miracle take place. I was witnessing first hand God’s redeeming work in place. Emerging from despair was a picture of love and forgiveness. We had a lot of work to do. But we were fighting for one another, not with one another! 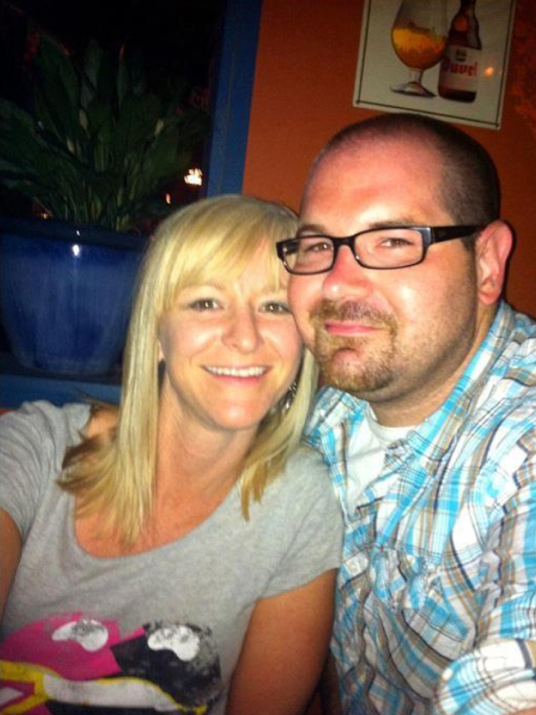 Terry and Karla on their “first” date… back together, September, 2, 2011. We learned and are learning how to communicate, how to give grace, and we have begun to pray together. We had to start trusting one another again. It has taken time but God has healed us completely! Almost a year to the day he moved back in. We have now celebrated almost two and a half years of our “NEW marriage!” I don’t know why God chose to heal our marriage the way He did, but He did! And we feel very blessed. I know many marriages have not turned out this way. Some of my closest friends went through heartache that ended in divorce but I know God has done and can still do great things through those situations too. That’s just what He does. Lastly, this video that my friend Heather (writer of this blog) made with Kanakuk Kamps sums up everything that happened in my heart. I remember watching this when things were hard. I remember thinking this season would never end. He truly changed me. I’m not perfect, we are not perfect, Christians are not perfect—and we don’t have to be. That’s why it’s called grace—a gift, not because we’re good enough but because HE’S good enough. We are all on a journey and God used this detour as a way to show us more about Himself. In the end, it was the best thing that could ever have happened for our marriage. God makes all things new. 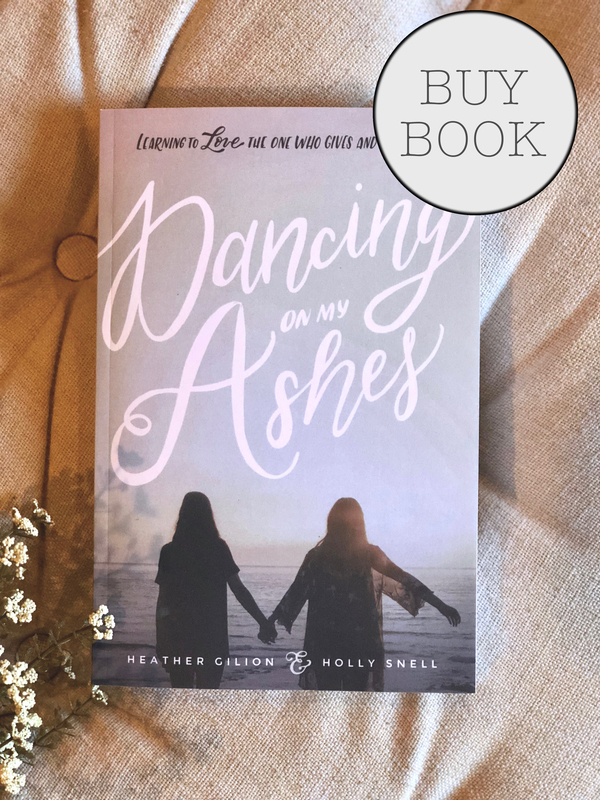 If you are new to this blog, follow Holly and Heather by clicking the “follow” button at the top of the screen! Read up on their story: here! Wonderful testimony. I, too, had a marriage that was over. We went to counseling and over the course of 18 months we were restored. At the time we had been married for 20 years. We just celebrated our 39th anniversary. Marriages sometimes take a break while the Lord restores the damage and then He brings them back together again. Thanks for the words today. That’s beautiful, friend! Thanking God for the work that He’s done in your marriage. How exciting! I’m sure your comment will bless Karla.